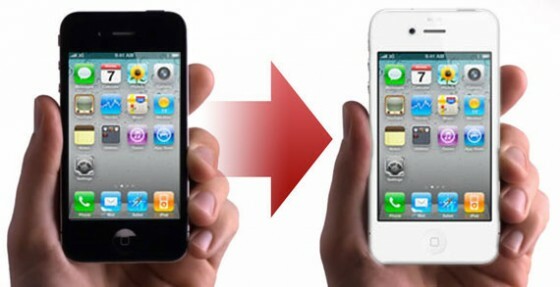 Last week's iPhone 4S announcement sent some iPhone 4 owners into shock. Some may have started an emergency savings fund, and might be searching something to transfer all the apps, music, movies, and settings from the iPhone 4 to iPhone 4S. Luckily Apple makes this process almost painless thanks to iTunes. After your initial transfer to your new device, iOS 5 and iCloud will make the process even easier from here on out. Click through for a couple easy steps that will ensure all your original iPhone 4 music, video, data, settings, apps, and games get transferred over to your new iPhone 4S smoothly. Step 1: Attach your old/existing iPhone to your computer and go to iTunes. Step 2: Click on Sync button in case it does not start itself. Now right click on your device name and select back up option. Note: Transfer Purchased Apps: When you purchase apps from your iPhone 4, they aren't included in the iTunes backup. You have to right-click on your iPhone 4 in iTunes and select "Transfer Purchases". This copies over all of your purchased apps into iTunes, but they still wont' be part of the backup unless you select them.Select your iPhone 4 in iTunes and then click the "Applications" tab, and make sure that all of the apps are selected. Do the same thing with the Music and Videos tab, and make sure all of your songs and movies are selected. Very important: Run the backup one more time to backup the apps, music, and movies we just selected. Step 3: Now replace your Old iPhone 4 with new one. Step 4: You'll be asked to register your iPhone if you haven't already. Step 5: iTunes should prompt you to do one of two things, set up as a new iPhone or restore from a backup. Go with the restore from a backup & choose the backup. Step 6: Once the restore is done your iPhone 4S will reboot. When iTunes detects it again it will start to sync back any apps and games your old iPhone 4 had installed. Step 7: Let iTunes execute it its way. 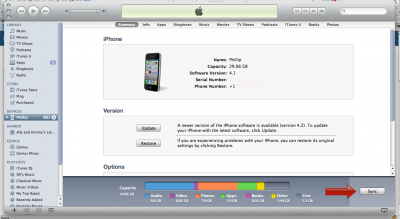 On the completion you will have all the same settings and data in new iPhone 4S as you had in old iPhone. 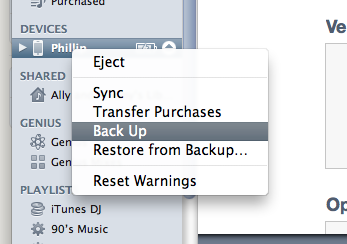 Step 8: After you've done a manual transfer you'll have the option to use iCloud backups in the future. Some apps provide additional ways to transfer files that you may prefer, but this is the most straightforward method and it works for every app that supports files.